67% of online shoppers agree that Amazon is America’s most innovative retailer. So how can you apply what people love about Amazon to your brand? We’re sharing our research to equip you with information to make the right decisions for your brand. 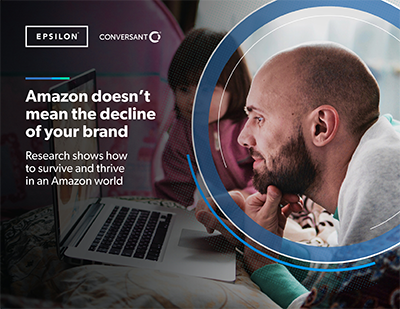 Download our Amazon Guide and learn what consumers love about Amazon, and what will give you an edge over the online retail giant. 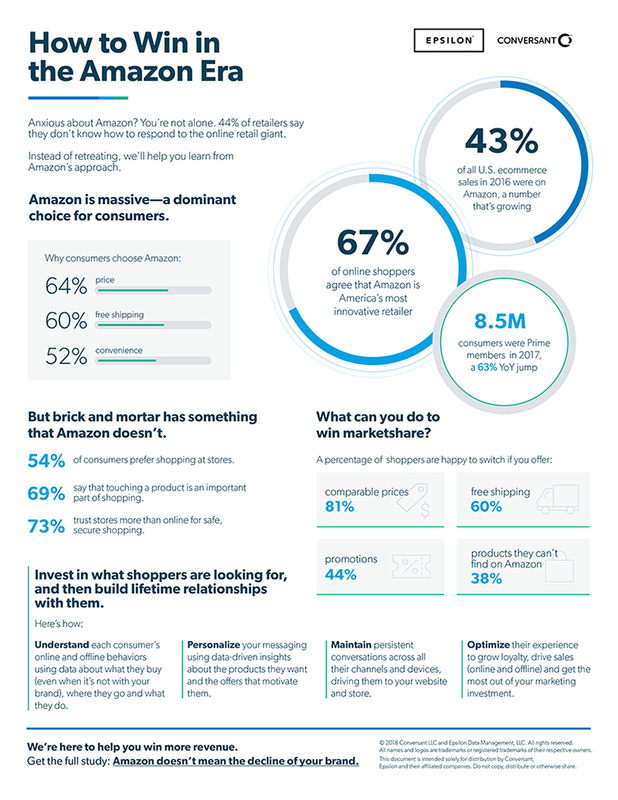 What high-value Amazon customers look like, such as spend and favorite categories. How Amazon has changed consumers’ expectations of online shopping. How to give customers the same personalized experiences they’ve come to expect from Amazon. How the right tools and technology partners can help you connect with consumers.